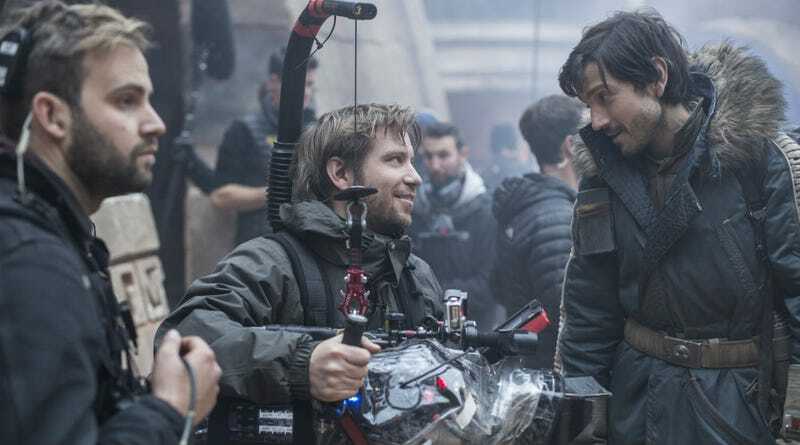 Earlier this year, you couldn’t say the words “Rogue One” without hearing the word “reshoots.” The fact the filmmakers were going back to remake large scenes of the movie sparked massive debate and controversy online. But now, after months of silence, the director of the film has finally given his side. Well, now that Rogue One is a done and week away from release, Edwards spoke to the Los Angeles Times and gave his own account of what went down. What happened was that I’d say a third of the movie or more has this embedded documentary style to it, and as a result we shot hours and hours and days and days of material. Normally when you put a film together it goes together like A-B-C-D-E and you move on. Whereas we had so many permutations, so many different ways it could be constructed, it took longer in the edit to find the exact version. We’d always planned to do a pickup shoot but we needed a lot of time to figure out all this material and get the best out of it. So that pushed the entire schedule in a big way. Then Disney saw the film and reacted really well and they said, “Whatever you need, we’re going to support you.” Our visual-effects shot count went from 600 to nearly 1,700, so suddenly we could do absolutely anything we wanted. To design 1,000 visual effects shots should take a year, so it was all hands to the pump and we never came up for air really until about a week ago. Things kept improving constantly and the film was getting better and better — and if you’re improving it, you don’t stop. I think any other movie you would say, “That’ll do. We’re going to get a hit.” But “Star Wars” is going to live forever if you do it properly. We just can’t let it go. You’ve got keep going until they prise it out of your hands. There were a ton of reshoots. But if people want to read anything into that, I’d encourage them to read into it the guts it takes to unpick stitching rather than just try to embroider over it, to make it right. I admire [Lucasfilm President] Kathleen [Kennedy] and Gareth and the whole team for having the guts to go, ‘Let’s reopen this. Let’s do some of this again.’ I think it’s because they really care — and hopefully that’s something that shows when people see the film. And ultimately, that’s going to be the big test. If the movie is good and audiences like it, no matter how much was changed, by whom, or how much it cost, it won’t matter. We’ll find out next week if it was all worth it when Rogue One: A Star Wars Story hits theaters. And read more of the great interview below.